When people getting older they will depress very easily and it is a common problem in seniors. As they depress they will lose the happiness in their life like energy, sleep, craving, Interest and relationships with their near and dears. Most of the time the senior and we are not able to recognize the symptoms of depression. Oldage solution tells you the symptoms of depression so you will help your adultery. Not much involved in social and with people. Hopelessness or Helplessness kinds of feeling. Worries about being a burden. These are some symptoms of depression which you have kept in your mind. Now told you about the symptoms of depression but there is one more point that we should be know why this depression happen with elders. As we know that depression can happen to anyone at any age but some people over come from this depression mostly young because they would get the enough time to bring back themselves from depression. But with older people its little difficult to them to overcome depression. Once they would go in depression than it is difficult to be normal for them. 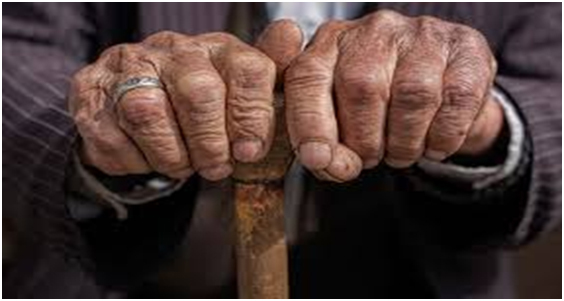 As for elders their life will change when they face the major change in their life which increases the risk of depression. We must understand the cause of depression for elders. Health problems – Due to age health problem is common. Loneliness – Many people don’t live with them that can be cause of depression, living alone. Lacks in sense – Feelings of purposelessness or loss of identity due to retirement or physical limitations on activities you used to enjoy. Fears – Fear of death or dying. In the above we understand the symptoms and cause of depression but now the question is how we prevent from this depression and what we do so we can come out from this depression. oldage.solution we are going to provide you some important information to reduces the chances of depression. Keep them active and busy. When your body and active and you keep yourself busy in work then there is less possibility to get depressed so we do same with our beloved elders. Keep them busy plan a trip, movie with them, do activities together that your beloved used to enjoy, go walk with them. Make schedules for them.We know that it is not possible for you to be with them every time so for that you can prepare schedules for them like Group outings, visits from friends and family, organise trips for the withlocal senior or community centre can help combat loneliness. Depressed people feel often better when they are surrounded by others. Prepare healthy meal for elder.A healthy food makes people healthy and poor food can make depression poorer. So give a proper food to your elders and make a diet chat from doctor give them meal on the time and other nutrition too like fruits, vegetables, whole grain and protein. Visit doctor and follow their treatments.Don’t let your elders to stop the treatment help them with their treatment and visit the doctor with them and always encourage them. Do emotional Support. If your beloved elder is depressed, so you can be with them for their emotional support. Listen to them with patience and compassion. Do not let them realise that you being stuck with them. You cannot fix their depression but you can reduce it by your emotional support. Don’t criticize feelings expressedHelp your elder to find a good doctor, give them your company to appointments, and offer moral support.